A mention of the 1964 Corvette or the Sting Ray brings to mind the 375-bhp engine with fuel injection and 4-speed transmission and all the specs of a sports car. However, the car exists in many docile forms for those not interested in high-end performance. The Sting Ray was the successor of the 1963 model. Gone were the faux air intakes on the hood and the split window design. The roof vents were also redesigned. Now only the vents on the driver’s side were functional. But we’ll discuss all this and more in our close examination of this iconic American muscle car. In the 1950s, General Motors (GM) was the biggest corporation in the world. In fact, it was twice as large as the second largest company on earth was. It was so huge that it made almost half of all cars in the US. However, it did not make sports cars. The idea of a company such as GM competing with carmakers such as Jaguar was unthinkable. However, in General Motors, there was a dreamer by the name Harley J. Earl. He wanted to create a sports car that would sell for the price of a sedan. He did eventually hand in his designs to McLean who agreed to produce the car. Determined to keep costs down, most of the parts were designed for use on the Chevy. Even then, the car was only intended to be a concept for the GM Motorama exhibition of 1953 until Ed Cole saw it. Attendees of the Motorama event of 1953 loved the car. Just six months later, the 1953 Corvette was released. Five decades after it was introduced, the 1964 model was one of the most startling and thrilling designs of its time. 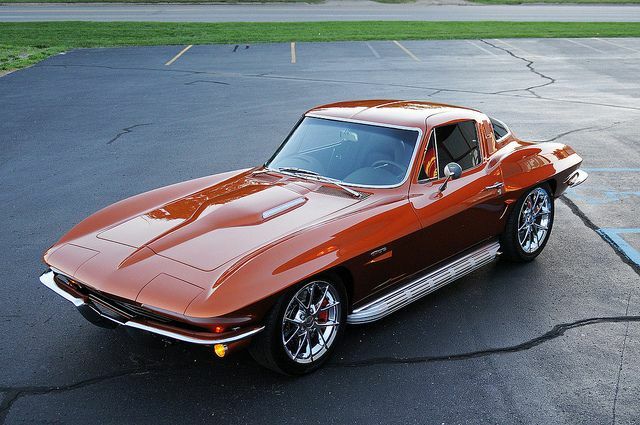 For most enthusiast Corvettes of ’63-67’ are the most compelling. The 1964 Sting Ray made some slight changes to the 1963 model. The backbone window on the coupe was removed. Besides that, the simulated hood air intakes were removed. Also, refinements were made to the suspension for 1964. Besides that, sound dampeners were also added. The result was a more livable car for everyday transportation than the predecessor. The transmission was not very different from the 1963 model. However, Muncie gearboxes superseded the Borg-Warner T-10 four-speed transmission. The “Muncie” transmissions got their name from the factory in which they were built – the GM Muncie, Indiana facility. The transmissions were being installed in some GM models, so it made sense for the Corvette to utilize the same transmission. Thus, GM was able to cut down costs. The Muncie transmission was similar to the Borg-Warner design, but it had better synchronizers. This made it more durable, and it had more drivability. Europeans criticized the 1963 model for being quite noisy inside. Chevrolet decided that they would add more sound insulation to the vehicle. They also revised the transmission and body mounts to cut down the noise resulting from normal vehicle operation. The company also installed extra bushings. These were meant to quiet the shift linkage. They also placed a new boot around the lever. These changes were to make the Corvette more usable for daily activities. The drivetrain choices were mainly the same as those in the 1964 model. There were four V8 engines, which were 327 cubic inches. They were mated to four-speed or three-speed manual transmission or the Powerglide automated transmission. Of these, the two least powerful one had 250 and 300 horsepower. The engines did receive some upgrades. For instance, the carbureted engine received the Holley carburetor instead of the original Carter unit of the base engine. The large carburetor helped to produce 365 horsepower. The fuel filler neck cover emblem was redesigned so that it had concentric circles around the crossed-flag insignia. The bottom cushions in the 1963 model were also eliminated. Additionally, the color-keyed steering wheel rim was changed to one molded in simulated walnut. Besides that, the inner doorknobs received a chrome finish. There were also acoustic changes made to the interior of the car. Positraction was not standard in the C2 Corvettes. While it is quite common today, it was just an option in 1964. However, at the time, it was quite costly. It costs the high price of $43.05 back then. 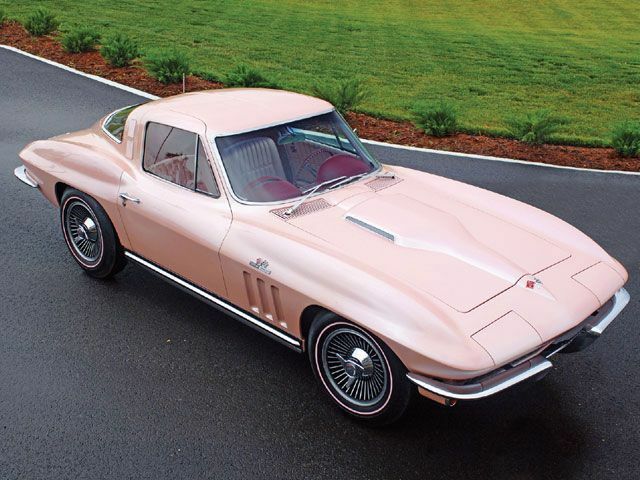 Despite this high cost, nearly 80 percent of all Corvettes of 1964 had the option. It was attractive to most consumers because it enhanced wheel adhesion. The differential was designed to increase traction to the rear wheel. It was advantageous to most drivers although it did lead to some fishtailing when the car was on ice or snow. In such instances, 1964 Corvette owners drove with more caution. While the positraction was relatively affordable, the J56 braking package was quite expensive. At $629.50, the sintered metallic brakes had fade-free stopping power, which included Al-Fin drums. The brake package was designed for drivers interested in high performance. Given the high price that came with the brake system, only 29 cars had the system installed that year. Getting support for 1964 parts is quite easy. One of the best places to get parts is Mid America Motorworks, located in Effingham, Illinois. Alternatively, you can go to Corvetteforums.com and look for someone who has the parts you need. A 1964 Corvette is a vintage car that could be worth a lot if you maintain it well. Its value today ranges from $53,000 to $115,000. Alternatively, you can join a club of classic car owners. It can be a great way to have fun or use it as a serious asset. For Zora Arkus-Duntov, Corvettes turned out to be the car he had imagined. This generation of Corvettes would forever change the way people thought about Corvettes.